Make it very clear to the visitor what you are offering / selling. You have a few second to convince the visitors that they have landed on the right page. Work with good keyword phrases. When you write your text for the website, we ask you to read it through carefully. If a page is just straight text and not much layout, it will be quite easy to change the text after launch. However, if we create more interesting layout and work with codes, it takes a long time for us to go through the text and make changes as the text will be placed in small boxes. We will do 1 free revision of parts of the text once you have sent it to us. We will show you how to make changes on your website and you can then change as many times as you like. If you have any images of you / your business it helps! It is very nice and it gives credibility if you can include some of your own photos and not only stock images. We will source up to 5 stock images for your website if needed. If you want to have a slideshow on the first page, remember that a slideshow is wide and not so high. If you want to use square images and are not happy for us to cut the images, we need to have another background and make a smaller picture in the slide, or, we can put together many small images and make 1 bigger slide from it. Slideshows can be tricky to display exactly what you want to show in a particular photo. Slideshows are often used to give the website a more interesting feel and look and display some call to actions or messages. If you want to have a slideshow on the first page that has 1 big image all over the screen, we need large images from you, and they most likely will be cut in height. The image in a slideshow like this is very wide and low height. If you many images it can be a bit heavy to send it all by email. We prefer getting images by Dropbox. If you don’t have a Dropbox account, we will create a folder for you and send you an invitation to that folder. You then just need to click and upload images to that folder and it saves both you and us a lot of time. We kindly ask you not to send us only the ones you want to use. If you have a logo we would like you to send it to us. We will use it on the website and we will make sure that the colour scheme on the website works well with your logo. If you have a logo in png with a transparent background, it always helps. If there is a website you like the look and feel of, it helps us with the design. As we don’t create mockups to save your money and our time, we start building your website once we have an understanding of what you want. If you have no particular wishes, we are happy to be creative. We always build 1 page first and make all adjustments and changes with your feedback. Ones that page is approved by you, the rest of the website is quicker and easier to build. You will need to give us access to your hosting company and server. 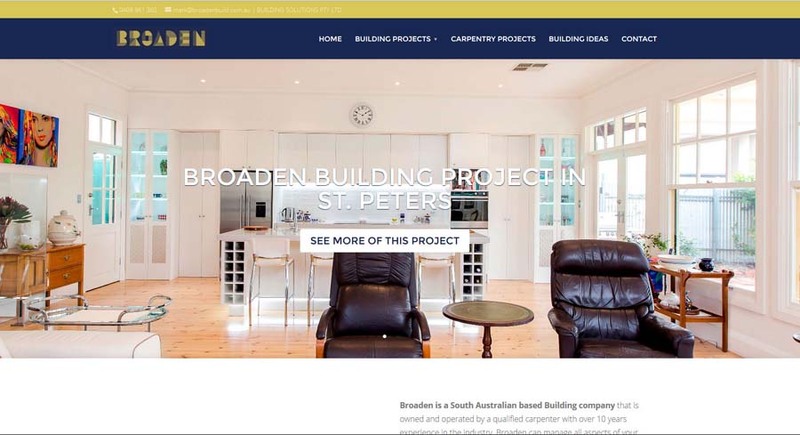 This is where we build your website. If you already have hosting, we can build the website on that server. 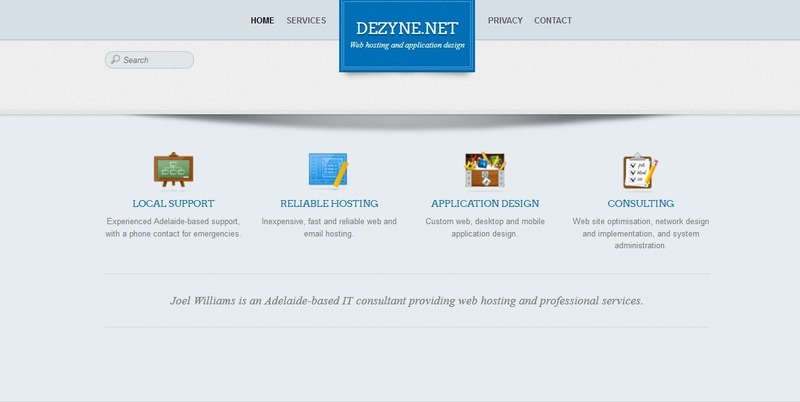 We highly recommend and work closely with: http://dezyne.net/services/. When you have hosting with Dezyne.net, you will be able to set up as many emails as you like and you will have a control panel that is standard today with any of the biggest and better hosting companies. You will also need a domain name for your website and if you don’t have one registered yet, Joel Williams at the hosting company will help you with the registering. A domain name is the URL: www.something.com.au as an example. The name of each page. Text for each page. All contact details for the contact page. The images you want to include. Access to your web hosting services where we build your website. Contact Website Adelaide (Jarka) now.